Nowadays, Facebook messenger become effective tools to dispatch messages, photos, and videos instantly that connects users on the Facebook network. However, using this app, you might experience unpleasant by being bothered by strangers who may try to send annoying messages. To avoid having unwanted calls or messages to your phone or mobile device it is helps to have all the strictest privacy settings enabled. 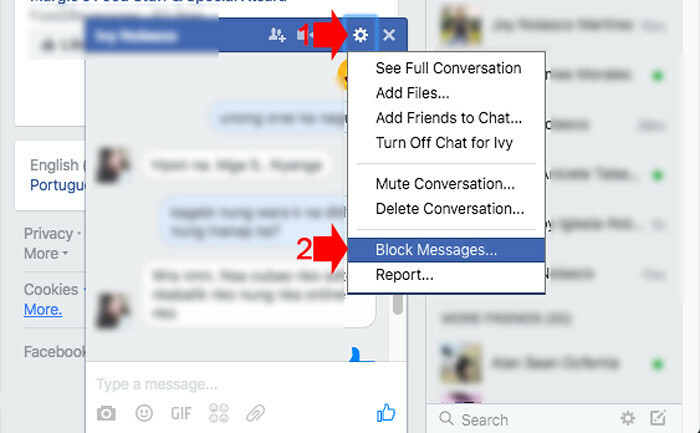 Here are the simple steps to block someone from sending you messages on Facebook. You can perform this steps in the Facebook message or in Facebook chat, the steps is almost the same. Open a conversation with the person you want to block. Click options icon then select “Block Messages” in the drop-down menu. 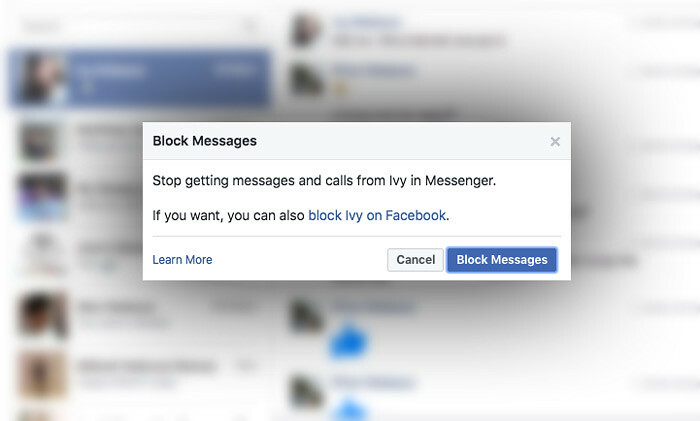 This is how to block someone from sending a Facebook message using Messenger App. Please note I am using Android device in the screenshots. Open the message or your conversation, on the top-right of the screen tap the details icon. It will open the details screen, you may need to scroll down to see the “Block” control which is located at the bottom. Tapping the block control will open another screen where you can easily toggle the on or off if you want to block the person. That’s it. Please note that blocking messages from someone is different from blocking them on Facebook. 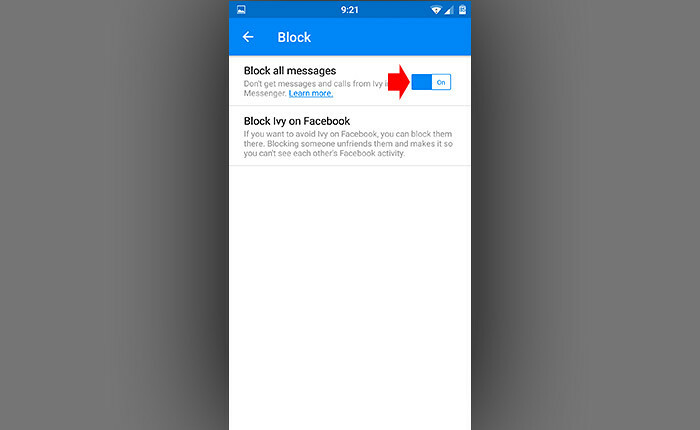 If you block messages from someone, that means they’ll no longer be able to contact you (e.g. send you messages or call you) in messenger. 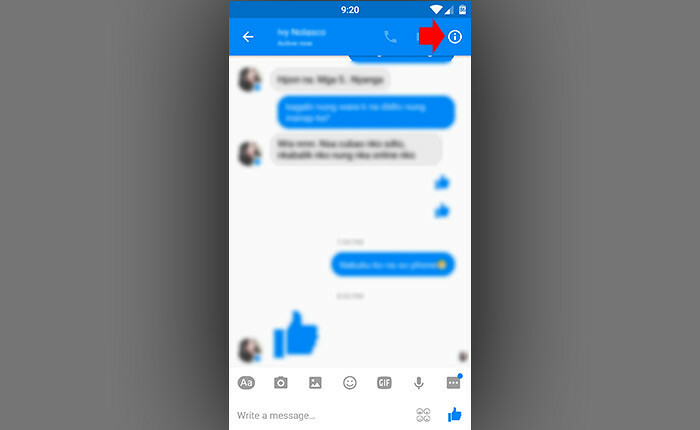 You’ll also no longer be able to contact them in messenger or in Facebook chat. 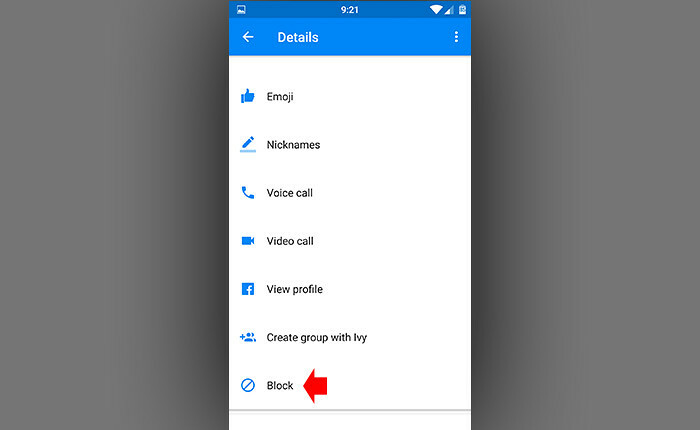 If you and the person you block are in a group conversation together, you’ll be notified before you enter the conversation. If you choose to enter a group conversation with the person you blocked, you’ll able to see their messages and they’ll be able to see yours in that conversation. But still you have an option to unblock him/her anytime. And if you’re wondering if they’ll know when you do so, the answer is NO; they won’t be notified that you’ve blocked them. For more Facebook tutorials and tips like this, visit our Facebook tutorial archive.